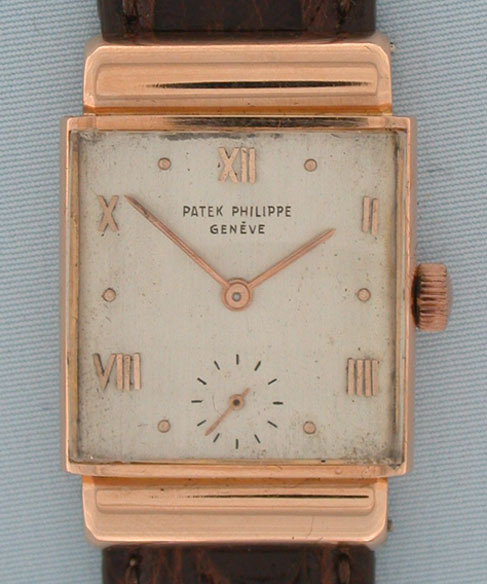 Fine and scarce Swiss Patek Philippe 18K red gold reference 1438 vintage wrist watch with original box circa 1951. 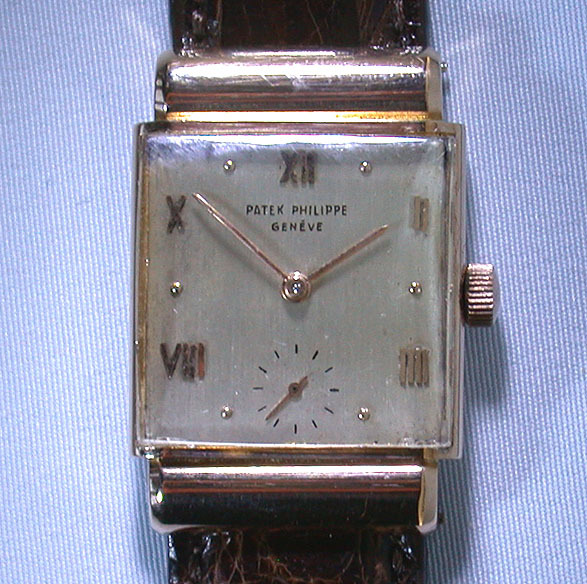 Original silver dial with applied gold indications and gold hands. 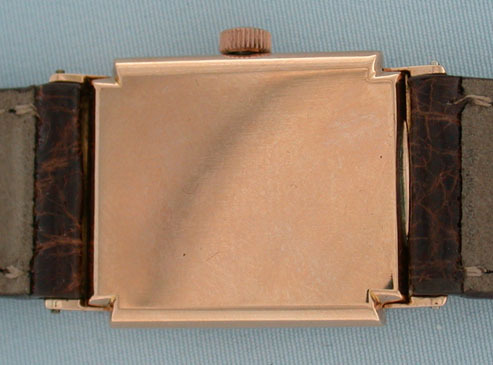 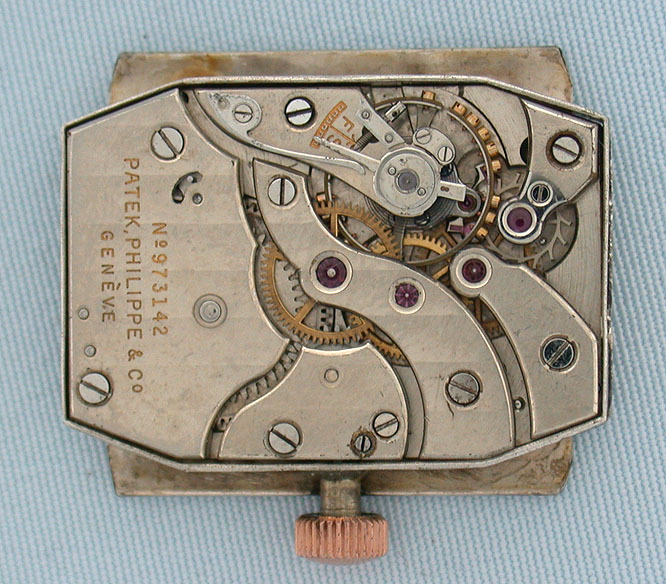 The case with hooded lugs, Fine 18 jewel movement with precision regulator. 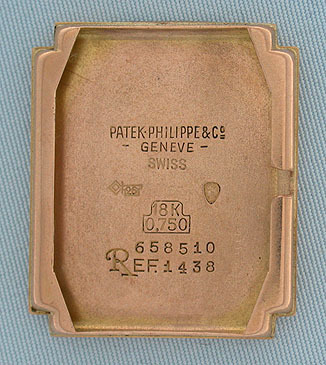 With original leather box.